I build optical assemblies out of aluminum, and I need to stick them together – meaning I need TIG welding capability. 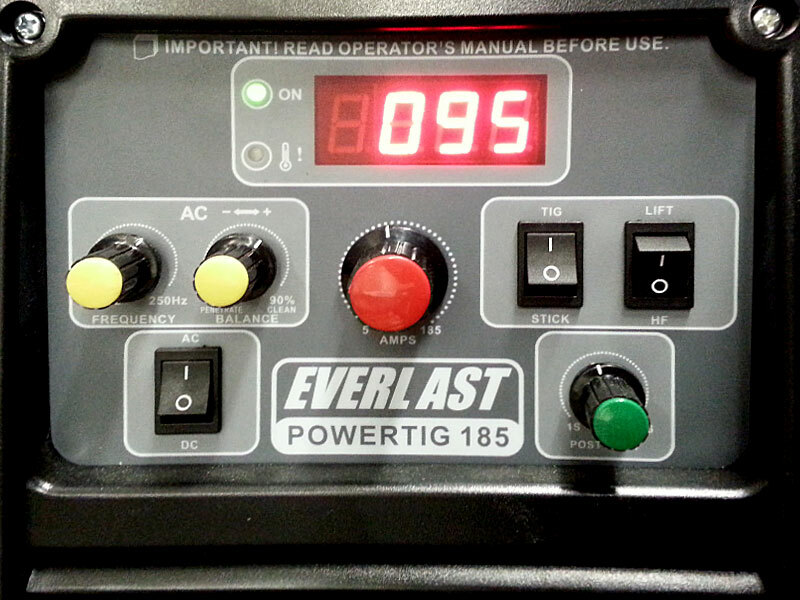 While I usually weld steel with Miller MIG/GMAW gear, I decided to try out one of the upstart TIG welders, the Everlast 185, a Chinese-made solid-state TIG. A complete kit, with foot pedal, tungsten, regulator, etc runs about $1k. Having MIG welded since I was a little kid (thanks, Dad!) I fully expected that I could be up and TIGging aluminum plates within an hour or two. Har har. Couldn’t have been more wrong, TIG made me feel like a total n00b. In MIG welding, you have a gun that feeds wire into the weld area. The wire carries the current and is also the filler metal. It is surrounded by a laminar flow of shielding gas, typically 75% argon and 25% CO2. 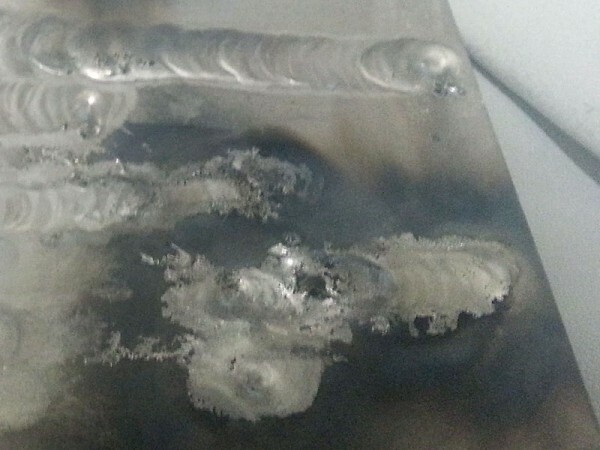 The beauty of MIG is that you basically point the gun where you want molten metal and it appears. TIG, on the other hand, is a special torch with a tungsten tip. The tip is surrounded by 100% argon shielding gas. The arc emerges from the tip, and you use it to heat the surface of the metal. When a small puddle forms, you push a “filler rod” into the puddle to plump it up, and then you move forward along your intended weld a little bit, and then fill it again, over and over and over. Pretty much the worst thing you can do when TIG welding is touch the tungsten electrode tip to the metal or to the filler rod. You need to steadily hold the torch less than a millimeter above the surface. And you need to get the rod within a few mm of the arc for it to melt properly. So you are constantly clumsily touching the tungsten to the work. And when you do that, it contaminates the tungsten, and creates a huge, ugly black splatter all over your workpiece. 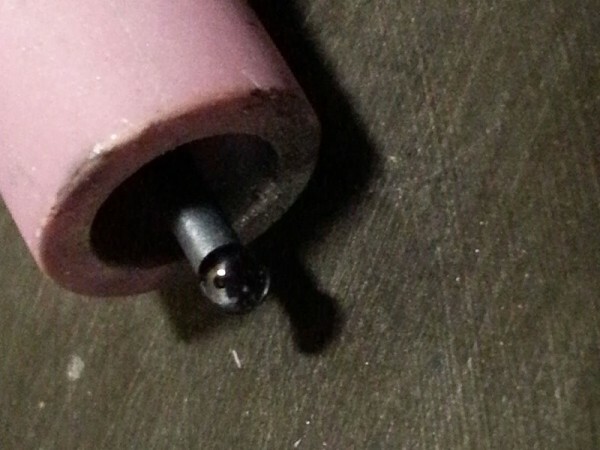 You have to take the tungsten out of the torch and go sand off the contaminated tip. Below, some of the ugliest, most embarrassing “welds” I’ve ever created. I can still hear the crack of the torch tip as it ruined itself. Awful. After several hours of messing around, I started to get something of a feel for the right way to both bust through the oxide layer and to lay down filler rod. 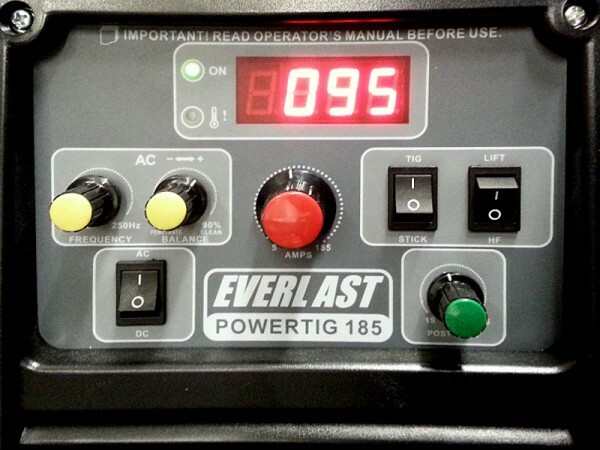 Since my torch is air-cooled, it gets almost too hot to hold after just 6-7″ of weld. So I kept these welds nice and short. What you’re looking for, when you are looking at this next image, is regular spacing, and shiny surface texture. 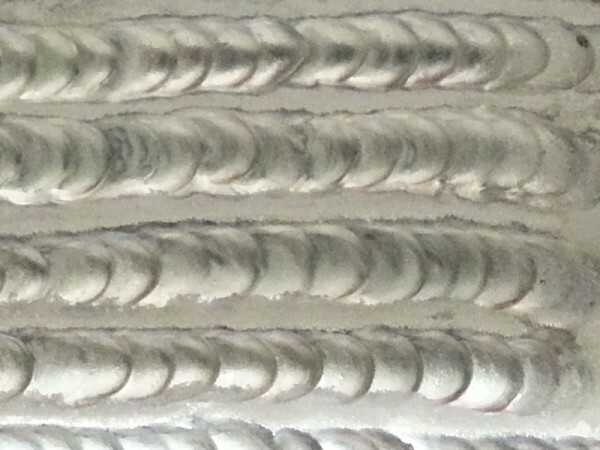 Welding people say that a good TIG weld should look like a stack of nickels. Well, by that metric, I am a poor man indeed. Even so, I am proud of these ugly and slightly irregular welds. I feel somewhat in control of my welder now, and it’s time to hit the books and YouTube again. I would be very proud of those beads , Daniel. My success with mild steel is far less than that, similar to the first try of yours. I will need a lot of practice and a lot of teaching from you. Hiya. I found your current blog page the use of yahoo. That may be an exceptionally savvy write-up. I’ll be sure to save this are available back in discover more of the useful details. Information submit. Let me definitely recovery.